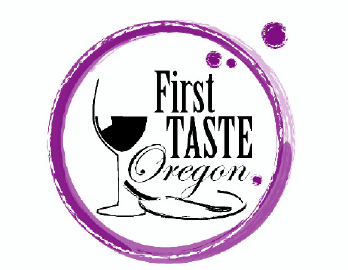 It's time again for the First Taste of Oregon! The event formerly known as the Oregon Wine, Food, and Brew Fest is being held at the Oregon State Fair & Exposition Center (aka the fairgounds). Doors open Saturday 26th January at noon, and the event concludes at 10:00pm tonight. Featuring cooking demonstrations on the chef stage, along with live music & mixology demonstrations on the main stage, this year's event has drawn 16 breweries (ciders as well as beer), 7 distilleries, 6 eateries, and no less than 31 different wineries! You'll also find artists (11), commercial & non-profit companies (12), and a number of different "Lifestyles" exhibitors (12). On Friday the event kicked off at 4pm and I arrived around 6pm. My wife and I were joined by some close friends and we had a great time. The evening began with an ID check and a neon green "21" wrist band. A complimentary coat check and concierge area was a nice touch, since none of us wanted to lug our coats around. The concierge also made it clear we could bring by any purchase we wanted throughout the evening and these could be picked up as we were leaving. Overall it was a great sampling of products from local, regional, and state-wide folks making delicious food and drink for you to enjoy. A commemorative wine or beer glass is only $5, and likewise, prices (both for a glass of beer and wine, as well as the samples) were quite reasonable. In fact, many places offered free samples! I have to start with my personal favorite: TeSóAria Vineyard & Winery. Just look at all those awards! Before 2008, vintner John Olsen had never made any wine at all. Today TeSóAria is a multi-award winning winery, producing thousands of cases per year. There is a catch though: they do not sell in stores and have no intention of ever doing so. You can join their wine club, or visit their website or brick-and-mortar site and order directly -- or you can catch them at the First Taste of Oregon today! I could (and probably should!) write an entire post on John's philosophy of winemaking (he's Irish, and uses a Hungarian process) as well as the splendid vintages he has available. I'll save that for when I make a trip to Roseburg to visit the winery in person. Here I'll reference just a couple things and you really must go sample his wines. His Riesling is outstanding, as is the Bella Bianca blend. The Bella Rosa is bold and clearly "not your grandmother's rosé"! Moving up the line of samples, the Bulls Blood is a classic Hungarian table wine which is softer on the palate than the name might imply. Adding a little umph, though is a true stand-out blend called Vindetta. His quick rise in popularity in Douglas county (& Oregon in general!) has made some other (more pedigreed) wineries a bit jealous. So, John created Vindetta as a bit of a good-natured in-your-face expression of his plan to continue offering the best wines around. He summed it up like this: "Revenge is best served at tasting-room temperature". Tasting prices are very reasonable, so if you stop by please don't miss this one. The highlight of John's offerings though, at least for me, has to be his Obbligato. It is a "port-style" wine which, if one has to classify it, would be a ruby port. I've always preferred tawny port, since ruby port is often overly syrupy and sweet. Obbligato has all the richness of a tawny, with a brighter finish, zero syrup textures, and a lighter alcohol content than ports often boast. He's been talking about making something like this since I first met him a few years ago at the Oregon Wine, Food, and Brew Fest. I'm glad to see his creation come to fruition, if you'll pardon the pun. 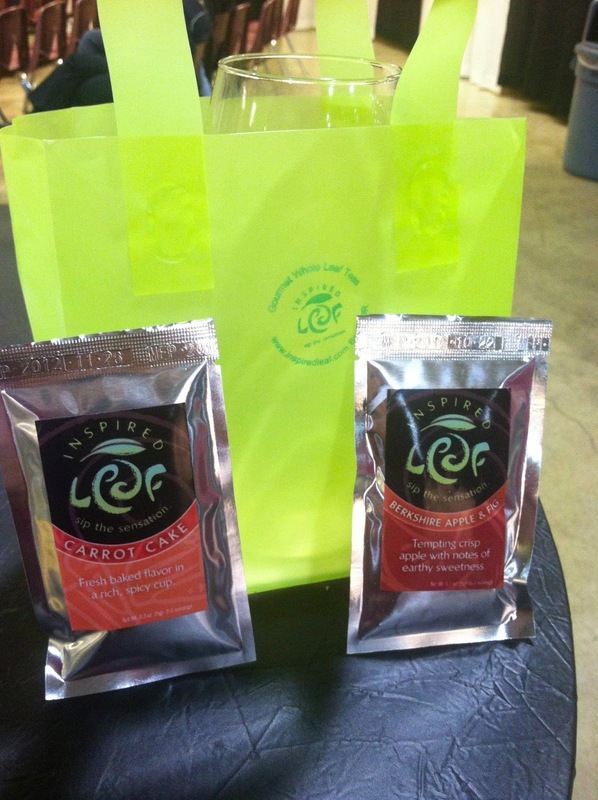 Inspired Leaf had delightful blends of organic tea. The cups of loose-leaf samples available for smelling the complex aromas was a great sell-point and I ended up buying a couple sample pouches. Wildtree was an educational stop about grapeseed oil. The ultimate recycling/reusing complement to the winery business, a cold pressing of grapeseed oil is remarkably useful in a variety of ways. It is great as an infused dipping oil. Also, with a smoke point of over 400F it is perfect for sautéing. Mt Angel Brewing Co has some wonderful craft root beer which won the silver medal in 2012! Olive Grand has a particularly flavorful variety of olive oils and balsamic vinegars. They mix them on the spot and while it is intended as a dressing or a dipping sauce, it was actually drinkable! Yum! Big Bottom Whiskey had some creative flavor profiles. They wondered: what would happen if the whiskey spent some time aging in a barrel which had previously held some fabulous vino? The result: beautifully crafted wine-infused whiskey. OK, re-reading that "wine-infused whiskey" I realize it might not sound good -- but if you like wine, and you like whiskey, you owe it to yourself to give this a try! We ended the night at Bear Creek Artichokes, where we sampled some of their various offerings. We finished up by sharing an order of their artichoke-jalapeño dip. Not too hot, plenty of melted cheese. 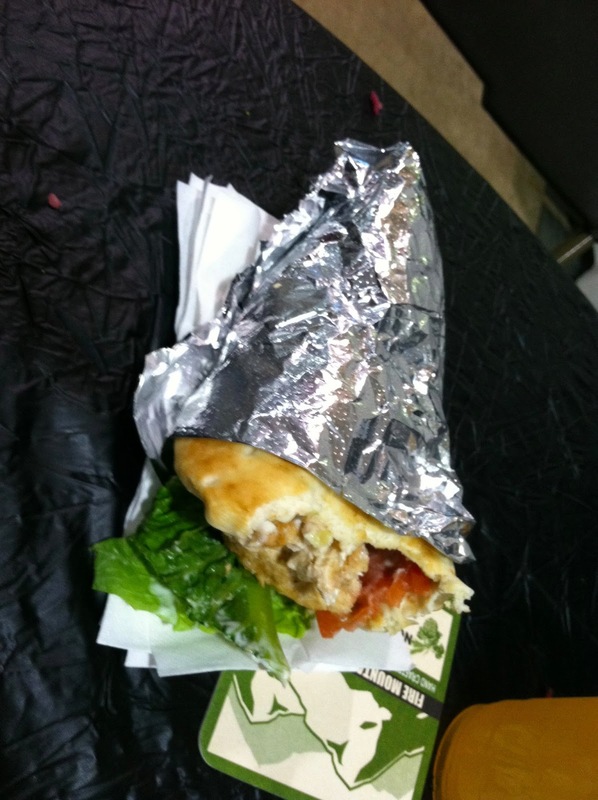 The perfect wrap up to send us home happy. Well, do yourself a favor: get up off the couch and head over to the fairgrounds. Now! What are you waiting for! Go! You will not be disappointed!